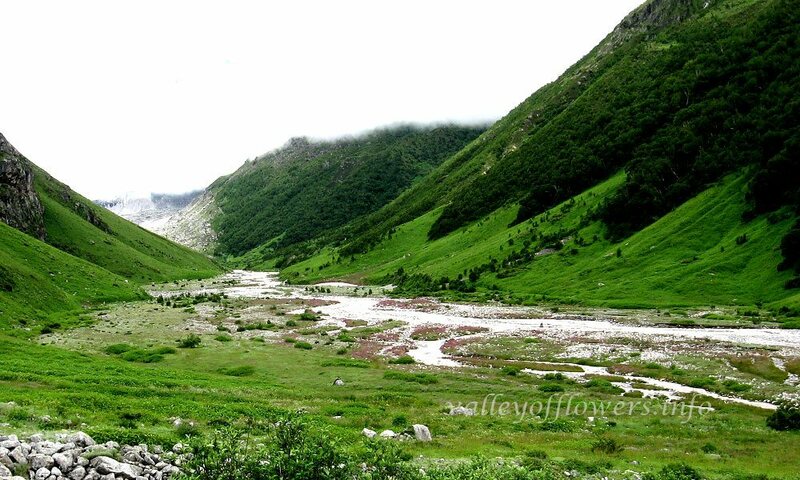 Valley of Flowers is located 300 Kms North of Rishikesh, near Badrinath. You need to Travel by Road till Govindghat and from there the trek to Valley of Flowers starts. Govindghat is 20 Kms before Badrinath. Till Govidghat there is a motor-able Road. Rishiksh is 6 Hours Drive from New Delhi, India. The best time to visit Valley of Flowers depends upon your liking as the valley is always beautiful. If you want to see maximum number of flowers July and August is a good time, if you want to see lot of glaciers you should visit in June, to see Brahamkamal flowers at Hemkud August and September is a good time. 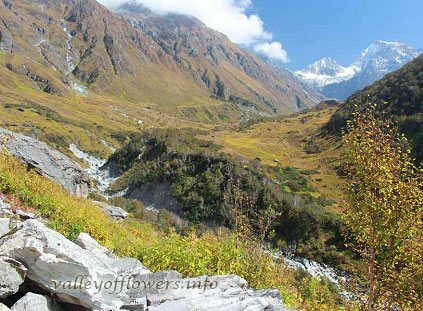 Valley of Flowers is closed from end September to end May. Can you please let me know if October or November is the right time to visit Valley of Flowers? Hello Mam, The Valley of Flowers is open from June first week on-wards till September end only. You can plan for the trek accordingly. I and my friend are planning on a Uttarakhand trip in the firat week of September. Is it the right time to visit Valley of Flowers? If yes, could you please send me the detailed itinerary? Please send me the itinary if your detailed packages since I am planning to visit between 10th to 15th of July 18. Please mail me the detailed itienary. Please email me the trek details. I had booked with u in 2013 but because of the floods we hadn’t to cancel. Pls send me intineary…send me full details with cost. Please send me the itinerary for the trek. Please send me the Itinerary… I would like to visit in the month of July. I am from Pune, Maharashtra. Wanted to know can Valley of Flowers can be done in one day? and are there any near by places to visit there? Send me the detailed itinerary from Dehradun. I m planning to travel in July 2018 please send me an itenary. I have only 3 days . So will it be okay? 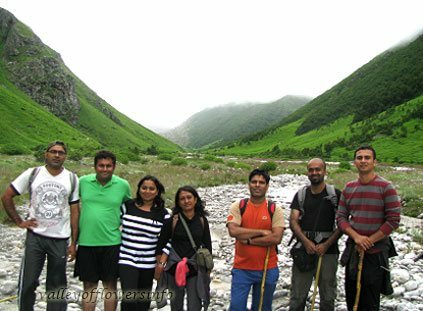 Hello Sir, The Valley of Flowers trek required minimum 6 Days. We have sent you a detailed itinerary for the same, if you want more information you can call us on 9991242759. Please send me the itenary… I would like to visit in the month of July. A detailed itinerary has been sent to you please check or revert you can call us on 9991242759. I am a senior citizen 65 years old. Can I go for trekking in Valley of Flowers. Are there medical support available if needed. Hi looking forward in the month of August… Age group from 15 to 45….group of 10 members…. Hi. I’m planning to go there this year. Can you please send me a detailed itinerary? Thank you. i am plannin my trip from 25-28 may…. will i be able to take entry to valley???? Valley is closed in the month of May. Valley opens in June and closes in the end of September. A detailed itinerary has been sent to you. Please go through it and revert. Hii… I am planning to go in July 2018. Let me know how to reach there..whats the nearest airport? and the shortest mode to reach from Kolkata. I will have my mother with me who is a senior citizen. 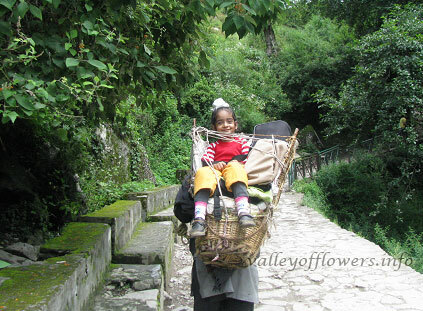 Whats the facility available for her to enjoy the Valley of Flowers without much trouble and hectic. We have sent you itinerary on your mail. Please check and revert you can call us on 9991242759. Although I’m planning to visit there in summer in 2019, not this year, still I would like a detailed itinerary from guwahati, Assam just to have an idea. Will you be able to help? A detailed itinerary starting from Haridwar is sent to you. Form Guwahati you need to come to Haridwar by train / air. Hello! Could you mail a detailed itenary. We are planning in July. Shimla could not be merged with this place. This is very far from Shimla. A detailed itinerary is sent to you. The other destinations that can be covered in this trip are Hemkund Sahib, Badrinath, Mana village and Auli. Please feel free to contact us back for any further information. Email to me the details for visiting from Delhi with different options available. A detailed itineray sent to you. A detailed itinerary has been sent to you. Kindly go through it and revert. A detailed itinerary has been sent to you, kindly check and revert. 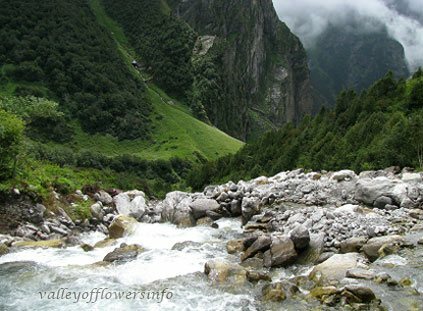 How difficult is Valley of Flowers trek? It will be my 1st experience, can I go there? Yes you can go there. 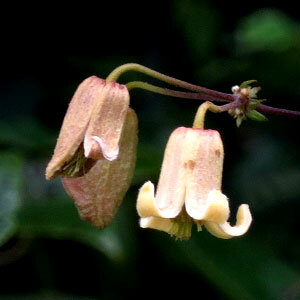 Please read our page How difficult is Valley of Flowers trek. 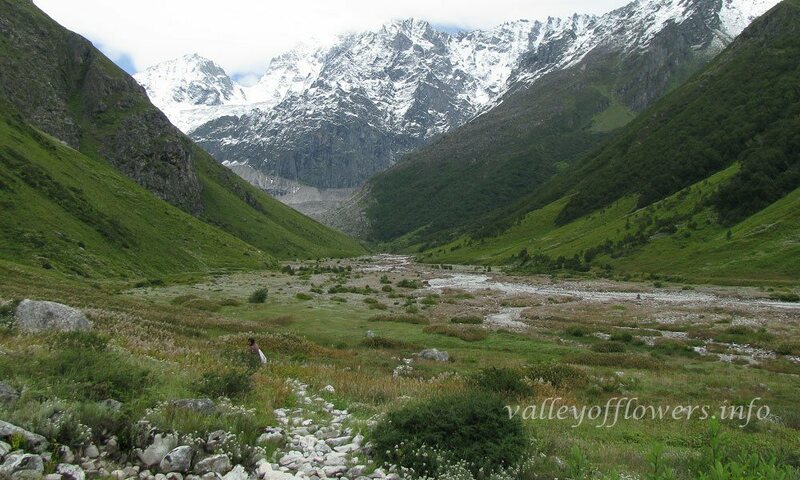 A detailed itinerary has been sent to you.Best time to visit Valley of Flowers is in the month of July and August. A detailed itineray has been sent to you, Please go through it and revert. Please provide us your contact no so that we can discuss about the trip. Can we go Valley of Flowers and Hemkund sahib in 1st of june 2018? Will trek route open that time? A detailed itinerary has been sent to you, Please check and revert. Valley of Flowers opens by 1st June every year. I along with my wife Mrs. Sharda Garodia would like to visit Valley of Flower along with Hemkund Sahib, Badrinath & Kedarnath. We plan to reach Haridwar on 15th August 2018 morning and reach back Haridwar on 19th August 2017 evening to catch the train for New Delhi for onward fly to Kolkata. Would the five day would be sufficient or do we need to increase one or two day. We would like you to arrange all the Conveyance and Stay arrangement at each location. Please suggest & Help. Please share the detailed itinerary for Valley of Flowers. Also let me know when is the best time to visit Valley of Flowers. A detailed itinerary has been sent to you. Please check and revert. 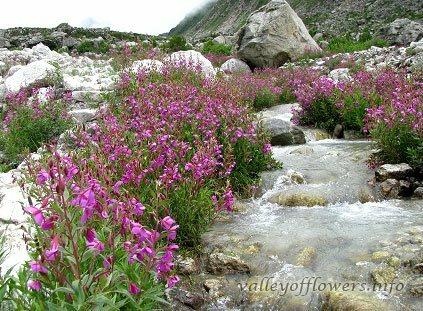 Valley of Flowers is in full bloom in July and will be in full bloom till August end. I have gone to Valley of Flowers and Hemkund sahib just few days back. Although i was not able see the flowers because of the off season, but the trekking was amazing. So close to the nature, all the ice covered mountains, waterfalls, the sound of water , all the different plants and their history aside. Taste different kinds of berries (only those which were supposed to be eaten). The beauty of Valley of Flowers is the path by which we go. We can feel everything, the running water, smell of different plants and soil and look over the beautiful sky and mountain. Next time i will be going in on season. Thank you for sharing the world experience with us. Thank you very much for commenting on our website. Please share the detailed itinerary for Valley of Flowers for the month of August. Please share me detail about the trip I am from Gujarat, Ahmedabad, and if i am solo traveler what will be the suggested time, are you providing any camp plan or group plan? Hi a detailed itinerary has been sent to you. Mail sent please check and revert. Please send me details along with my kids age 6 and 8. Also tell me what to carry and trek schedule. I will be there for 2-4 days. Hello, we are four people want to visit Valley of Flowers in mid August . Can you please send me the detailed itineries with accommodations options and tour cost.We would like to spend a extra day at Valley of Flowers. The details are mailed to you sir. Can you please share a 4 days itinerary over my email. Very sorry sir, but Valley of Flowers can not be completed in four days. Please send me the itinerary . Planning a couple visit there on 29th June, 2017. Please share itinerary and suggest how many days are enough. I want to visit Valley of Flowers 11/6/2017 sunday kindly send me itenary and charges with accommodation hotel booking,transport from dehradun and guide fees etc for four persons. Then when we start treking ?? I m planning to come here at july is this good time ?? You should start at 6.30 am July is a good time to visit Valley of Flowers. We are planning to visit Valley of Flowers in june. So please send me details. The details are sent sir. The details are sent yesterday sir. I am from Delhi and planning for Vally of flowers. Pls mail me all informations in detail. A detailed itinerary has been sent to you madam. A detailed mail has been sent to you. Please check and revert. I am looking for a trip to Valley of Flowers and this visit is a surprise for my partner.. but i want to travel on specific date if possible.. and if i want to travel by my own car till what point we can travel what is the best deal you can offer or idea you can give us. A detailed general itinerary is sent to you, kindly send us your phone number so that we can discuss about the plan. Hi…We are a group.of 5-7 people from NCR…We are looking for someone who can take care of all the arrangements with best facilities possible…. The details have been sent to you. Please check and revert. We are planning for July, plz sent the details about how to reach there. The detailed itinerary for July has been sent to you. Family of three wanting to visit..
A detailed itinerary sent to you. we are planning to come on 01-June. Please send the details. The detailed itinerary has been sent to you. We will call you very soon to discuss about the trek. Hello Sir/Mam, We are looking forward to visit Valley of Flowers in a day or two. Is it open now a days? Please reply asap. Thank You. Valley of Flowers is closed now, it will open on June 1st. I want to visit Hemkunt Sahib & Valley of Flowers both, I have been to Hemkunt Sahib 2-3 times. Can I join you guys directly tat Gobind Dham/Ghangaria? How much will it cost & would 1 day be enough to cover it? You will need 4 days ex Govindghat for the trip. Please send us your phone number. 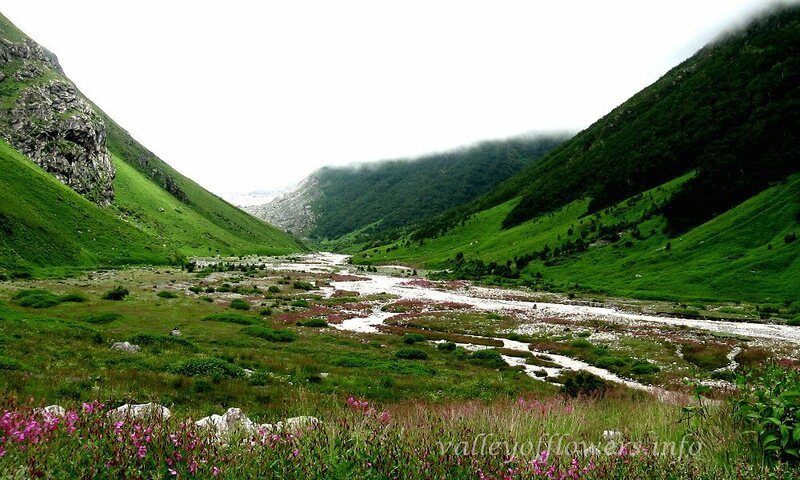 Valley of Flowers opens in the first week of JUNE. You cannot take a visit now-a-days. Hello Devank Sir, What may be the best time to visit? Kindly visit Best Time to Visit Valley of Flowers for more details. This is very difficult question to answer. Valley of Flowers is always beautiful. The detailed itinerary and other information have been sent to you. Kindly check with your mail. All the details have been sent to you. Kindly check with your mail. All the details have been mailed to you. Kindly check. Can you send the itinerary for 2017 along with Badrinath and options for other tourist places? The itinerary and other details has been sent to you. Kindly check with your mail. The details been sent to you. Kindly check. I want complete details about this .I am planning to visit for a week in July with my wife.Please suggest. Such a senic place.Would like to know the complete details of 2017 trek plan along with badrinath and auli. The detailed itinerary has been sent to you. Kindly have a look. All the other information have also been provided to you. Pls send me details of tour pkg …. The details been sent to you. Kindly check with your mail. The detailed itinerary have been sent to you. Kindly have a look. please give me details of 2017 trekking plan.. The detailed itinerary along with all other information have been sent to you. Kindly check. Revert with your response on the same. What a beautiful place..Would like to know the details of 2017 trekking plan.. The detailed itinerary has been sent to you. Kindly go through the mail. The detailed itinerary has been sent to you. Kindly check your mail. Plz share your iterinary of 2017. The detailed itinerary has been sent to you. Kindly check. Do contact us in case of any query. Interested for the trek. Could you kindly mail me the itinerary and cost? Contact us in case of any query. 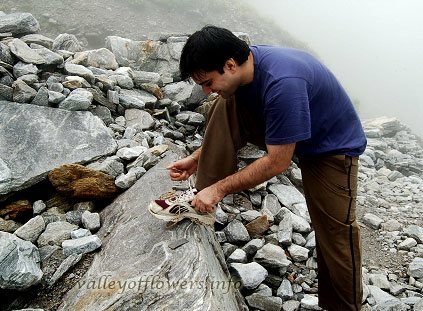 I would like to inform you that Valley of Flowers get open on June 1st till initial days of October. The detailed itinerary has been sent to you. Kindly check with your mail. I am planning to visit Valley of Flowers along with my friend. As we both are ladies of 50yrs of age. How do you plan to help us to go to the valley and what do you charge for it. We are healthy and energetic. Can we travel/ trek to the valley. This year’s itinerary has been sent to you. You can check with your mail. If interested this year, Kindly contact. Hi, We are getting lot of weather warning for Uttarakhand in media. Are these correct? What is the situation now? is it safe for travelling in 2nd week of Aug’16? This year’s itinerary has been sent to you. Kindly check. Situations are fine and you can join this year if interested. Do contact. Its almost a year since i had the opportunity to visit Valley of Flowers. The memories are still strong and the mountains are calling again. I want to THANK YOU for the opportunity, it would have not been possible without you. Your services and customer services were excellent. I am quiet impressed with the way you handled the communication and arrangements. The trip meant a lot to me and once again THANKS for making it happen. Thank You very much for your appreciation Venu Ji!! Can u please share itenary as we are 8 people to visit Valley of Flowers on august month. This year’s itinerary has been sent to you. Kindly check your mail. We are interested for visiting Valley of FLowers in the month of August. Is it safe and do the rainfalls effect the travel. What maximum days we can plan for Valley of Flowers. Please let us know the cost per person. What minimum number of persons we require for the specific tour guide for us. We have mailed you a detailed itinerary along with the answers for your queries. Please check. Need a tour plan regarding vof , hemkund and badrinath.please share the details like cost per person, stay and fooding. Also can we trek in the new route to vof as published in the internet.please help. We have mailed you a detailed itinerary for the Valley of Flowers and other near by places trip. The new route to the Vof is very difficult so we do not recommend that trek. We are a group of 7 people, planning for a trip to uttarakhand and exploring Valley of Flowers. It would be really helpful if you could provide me with itenary and suggest me other places we can explore. We have around 7 days of time and want to make the most of it..
A detailed itinerary for the Valley of Flowers and near by places is sent to you. Please check. I would like to visit Valley of Flowers next year on July last 2017 with my two friend.We are now 60 yrs of age but we are physically fit. Let me know the necessary information. Glad to see your interest. The itinerary for 2017 has been sent to you. Kindly check your mail. Nice blog, thanks for information about the Valley of Flowers. Thanks Sheetal, we will keep it up. I am visiting Joshimath in first week of May-2016. Is there any chance I can do Valley of Flowers trek ( even though there may not be much flowers then) in one day? 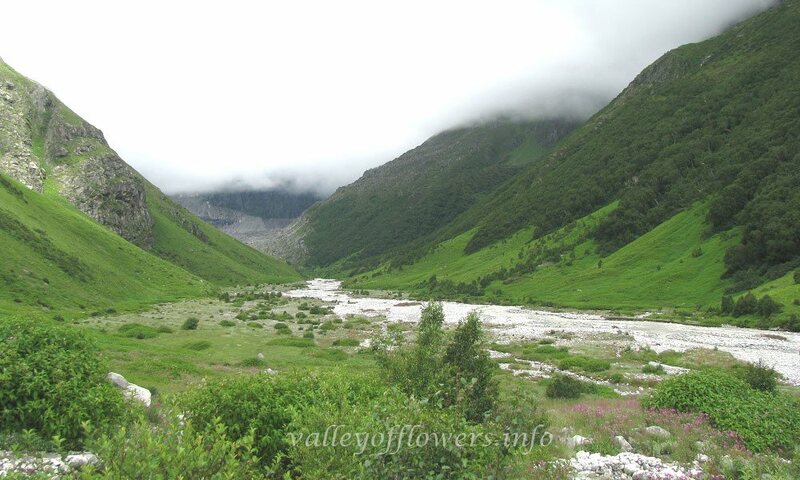 Valley of Flowers opens on 1st June every year. 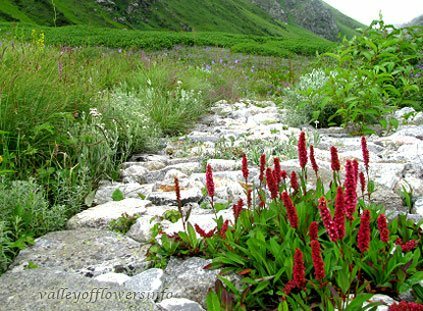 You need minimum of three days to visit Valley of Flowers from Joshimath. So not possible to go to Valley of Flowers in May. Hi I'm planning to visit Valley of Flowers for next year that is 2016 so please can u let me know the details. We are from Bangalore so please let us know the travel details from Bangalore thank you so much. A detailed itinerary mail has been sent to you. From Bangalore you can take a flight up to Dehradun or Delhi. From Dehradun Haridwar is 52 Kms away. So either you can take a bus or taxi. From Delhi Haridwar is 209 kms away. From there you can hire a taxi or a you can take a tain or bus. Janshatabadi is the train timing is 3:30pm or you can take bus directly from ISBT Kashmiri gate to Haridwar. From Haridwar our trip starts and for that i have already sent you a detailed mail. Can we club this tour with Auli? How will be weather there at that time? A detailed itinerary is sent to you. Auli is already included in the package. The weather will be around 10-15degree C.
We two senior male &able citizens want to visit Valley of Flowers at august I septumber juncture,2015.is it possible? If you are basically fit and can walk up to 5-6 Kms in a day then no problem will be there. For more information regarding senior citizens in Valley of Flowers you can visit this http://www.valleyofflowers.info/senior-citizens-in-valley-of-flowers/ page. A detailed itinerary has been sent to you. Its totally safe to go. Weather is all fine and routes are open. You can check the photos of recent treks on this http://www.valleyofflowers.info/valley-of-flowers-trek-gallery-2015/ link. Lovely pictutres and attractive place. Thanks for sharing all the latest updates and photos. I'm joining this trek on 8th Aug and want to return back on 14th as i have a flight to catch on 15th noon. Just wanted to know the approx cost of travelling back alone from Govindghat to Dehradun as i will be traveling alone. And also, would you be able to help me out in booking the stay for one night in Dehradun (14th aug). You can come back by taking a bus from Govindghat to Rishikesh. Then you can continue your journey to Dehradun. It’ll be costing you around Rs. 500. Sorry but we dont arrange stays in Dehradun sir so you need to arrange it on your own. Thaks for the reply. Just last concern, can you please tell me how many solo travelers are there in this group as I'm in a mixed mind of coming alone as one my friends who was about to come along just backed out at the last moment due to some personal reasons. And if everyone is coming in groups then i would like to reconsider. Dont worry you will find 3-4 solo travelers on the trek. Definitely you can come with us. The wooden bridge that got washed off due to heavy rains had fixed already. Kindly contact us on +91 9991142759. How successful has been the trip of yours Valley of Flowers this week , Is there any natural calamity due to rain fall ? I am visiting Valley of Flowers in July 20th, 2015. Is there chances of heavy rain there at that time. Monsoon is going on so rains will be there. PLEASE KEEP THE NEW FOLDER OF PICTURES OF TREK OF 2015. IT WOULD HELP THE VIEWRS FOR EASY VIEWING FOR RECENT PICTURES AND REVIEWS. hallo, sir… i want to know that…we r two females…want to join in trekking schedule of ur 23rd august….so this tour is included a spare day of Valley of Flowers or not….and we also want to visit the badrinath temple….badrinath temple site is included in ur economic package !! and if not…thn can u arrange the trip of badrinath…and what its total cost….please give me the schedule of date and time… so we can join and can book our tickets…. We wil be taking you to Valley of Flowers for 2 days, Hemkund Sahib and Badrinath are also included in the trip. I have got some queries as below. 1) Can we stay in self campaign Tent at Vally of flowers? 2) Please advice us regarding food fecility available at Vally of flowers? We dont provide stay in Camps in Ghangaria. Once you reach Ghangaria we can provide you meals. We provide you excellent meals; quality will be at par with a good restaurant in a metro city. Our customers always compliment us for our quality meals. DEAR SIR,WE ARE IN 12TH JULY DEPARTURE BATCH. I WANT TO SEE THE WEEK WISE PRESENT PICTURES OF VALLEY. CAN YOU POST THEM IF POSSIBLE? IF YOU DO SO , IT WOULD BE GREAT! Thank you for such a detailed description on all apsects of the trip one may want to know. We are three people planning for 1st week of August 2015. We can reach Haridwar at 2:30AM on 1st August. I understand your package includes price for stay in Haridwar which we are not availaing. Please let me know the revised pricce in that case. A detailed mail has been sent to you kindly check and revert. We are 2 girls and want to join your gorup for Valley of Flowers from 2 – 8 Aug.
we are five person (from Delhi) and planning to visit Valley of Flowers and Hemkund Sahib in first week of July I.e 1 to 6 July. pl. advice how can you help me. also advice whether it is advisable to take taxi from Delhi to Ghangaria or we should take it from Haridwar. Please share your number with us on trekforall@gmail.com so that we can discuss it in detail. we are also planning to come to that place in July including towards Auli, Hemkunt Sahib and Badrinath also. Can you help us with this? Sir we are planning in the month of July. Can u please guide us by providing detailed itinerary and cost per person. A detailed itinerary mail has been sent to you. Kindly check and revert accordingly. Is it better to visit first Valley of Flowers or badrinath? You can follow our itinerary, its better you go to Valley of Flowers first. Bus service is not so good in that area. Hello. Is it possible to visit Valley of Flower in the end of April? Or it’s close for tourists? 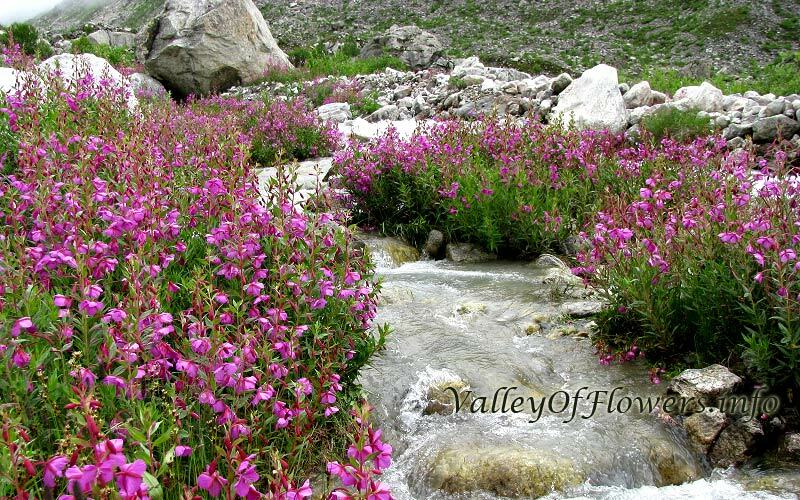 Valley of Flowers officially opens from June 1st till 4th August every year. You can not go to the valley during April. However you may make it up to Ghangaria. You will see lot of Rhododendron flowers at Ghangaria and on the way. But no one will be in the area except few locals. I have read more about Ms. Joan Margaret Legge, British Botanist, who lost her life while exploring the valley. But there is information given about Ms. Legge and her tomb situated in the valley. Ms. Joan Margaret Legge body was not found and her sister came and made a memorial for her. so basically its not a tomb it’s just a memorial. Kindly inform ome about current status of Valley of Flowers, badrinath and hemkund sahib as I am planning to go there from 1st Oct to 5th Oct 2014. I am informed that roads and connectivity are not in place and no one can go there. Please inform me on my email abhishekkumar.miracle@gmail.com. It will be a great help for us. I am sorry the day you asked the question I was in Ghangaria with no internet and phone facility. Valley of Flowers opened for 6 days this season only from 4th October to 9th October, 2014 . Sir detailed itinerary has been sent to you. Kindly check your mail box. Wonderful site and very good information! I would like to visit this place with my 9 yr old son. Is it safe? Yes you can visit Valley of Flowers with your 9 year old son. He will enjoy the trek and it will be a good learning experience for him. 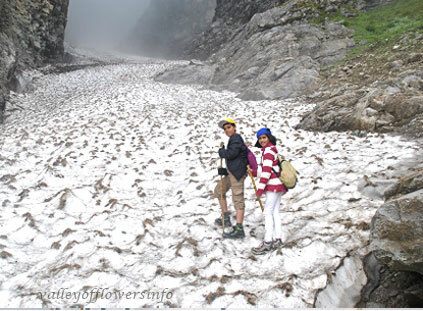 You can read Minimum age to visit Valley of Flowers, Whether kids can be taken for Valley of Flowers trek. I am visiting Utarakhand between 23rd and 29th october 2014. I plan to go to Chopta and from there drive to the Valley of Flowers. Will it be open or will we be too late to enjoy nature. Valley of Flowers is open from 1st June to 4th October every year. Hi sir,how are you? can you send me photos and videos of Valley of Flowers of july-2014? I’m confused. I’ve read this section several times along with Trip Advisor and some other commercial websites. 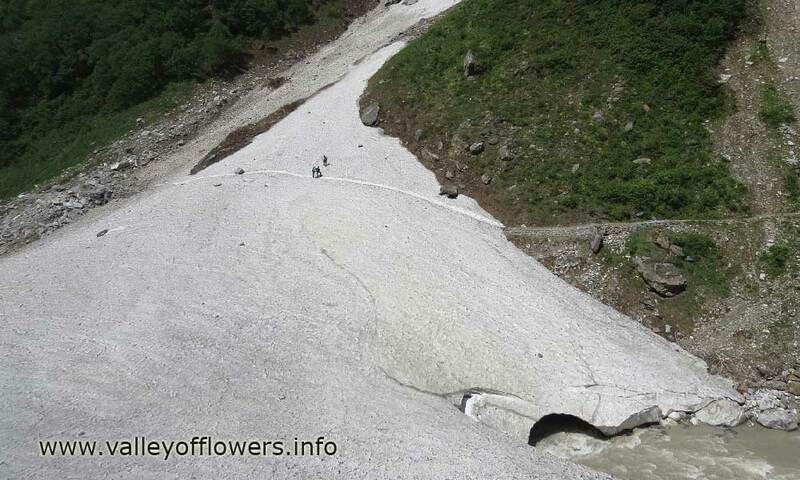 Most are saying that the Valley of Flowers will be closed this year but that Hem Kund is open. One site suggests that it may be possible to walk about 1km inside that Valley of Flowers. I was hoping to visit Valley of Flowers in the last week of July but will not do si if I can only see 1 km inside the park. Do you have any updated information or suggestions as to where I might find more recent reports? Thank you. we have booked for 3rd august batch, but not finding any new posts from mr devkant. eagerly waiting to know the developments regarding bridge to valley. I am planning to visit Valley of Flowers with full enthusiasm….. But all these uncertain news is really disappointing. I am eagerly waiting for ur next blog so that you can give us all a pakka information regarding the situation once you have visited Valley of Flowers personally . Keeping my fingers crossed. And thank for carring out this fantastic work. I would like to visit Valley of Flowers coming August, I live in Delhi. Please tell me if I can do it alone or if I have to accompany some group. You can do it alone also no problem with that as other group members will be there and you’ll not feel alone. Many thanks for this wonderful and informative blog. I do not find any mention of Joan Margarette Leggi. Did I miss it? The Botanical names are generally printed in italics and the second part start with small case letter. Is there any special reason for not following the custom? I am very Sorry for the ignorance about the way botanical names should be written. We will soon write a special page about Ms. Margarette Leggi. I have come to know that due to cloud burst on night of July 1-2 at Lambagar, the road connectivity between Govindghat- Badrinath has washed away. This is the same site where 3Km. road was totally vanished last year due to heavy floods. Although Border Road Organization have started work on the site but it will take atleast 45 days for completing the road, that to if weather permits. Valley Of Flowers falls have stopped all construction work in the entire area due to heavy rains and officially announced not to open Valley for tourist this season. Ïs this information true as I had a plan to go for Valley of Flowers trip on August 7, 2014 and was anxiously waiting for it. Since I found your website and your guidance very helpful, I thought of consulting you. Kindly look into it..
Valley of Flowers was opened this year for only 6 Days in Oct, 2014. 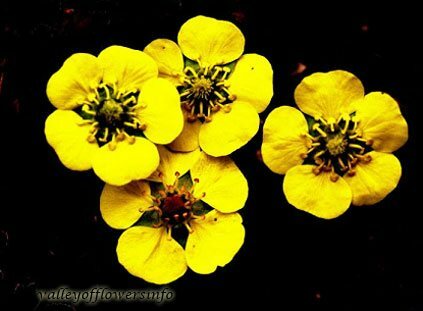 Visit Valley of Flowers opened in 2014 page for the latest news about Valley of Flowers. Wonderful website. Really informative. I am Planning to visit Valley of Flowers on 26th July weekend. Can it be done over a 3 day period. ie Leaving on Thursday night /evening from Delhi and return by Monday early morning. Can you help in making an itinerary? 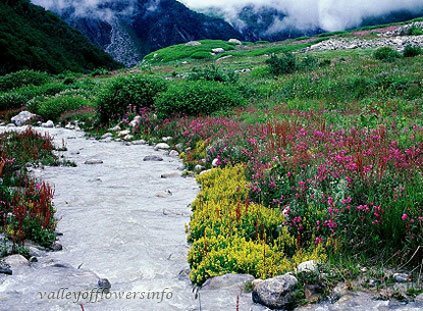 Valley of Flowers trip is not possible in 3-4 Days at least you need 6-7 Days. Is this year’s trekking to Valley of Flowers started? Visit Valley of Flowers opened in 2014 page for the latest news about Valley of Flowers. Valley of Flowers was opened this year for only 6 Days in Oct, 2014. I was really disappointed by the news that Valley of Flowers is no more. Thanks to God that I encountered your blog about Valley of Flowers and giving me some hope. I’m planning to go there, leaving Delhi on 25 June 2014. Do i need to book hotels befote I leave..? I have been to Valley of Flowers in October 2013, the Valley of Flowers is totally intact except at some points the trek was damaged. Lot of reputed news sites have reported wrongly about the Valley of Flowers. 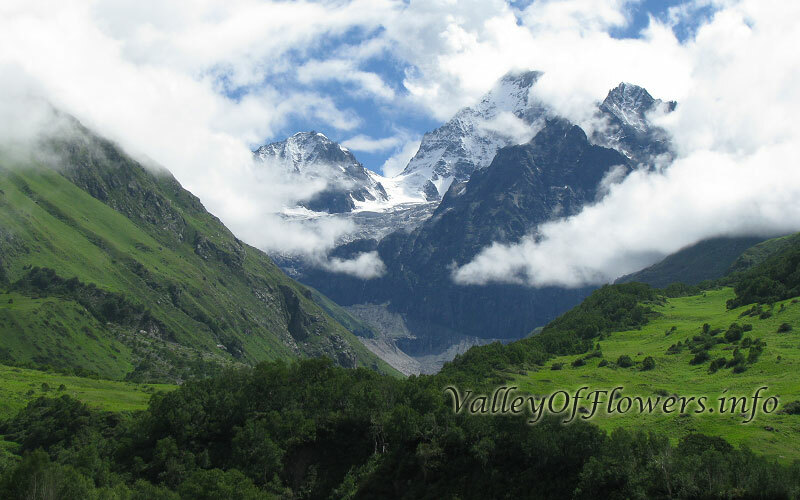 Valley of Flowers is not yet open and it is highly possible that it will not be open by the June 25th also. Please read Will Valley of Flowers open in 2014? When does Valley of Flowers open ?. If you want I can arrange for hotels. sirji I have CONFIRMED AUTHENTIC INFORMATION that Valley of Flowers is not going to open before August…I have some contacts with government officials…so I directly talked with the person incharge of developing the area…Actually they said that they have capacity to build it within 15-20 days, but they do not have budget.. I dropped the idea of 25 June. I’m planning to go there in September starting. I need your knowledge, for sure i’ll contact you then. I am planning to visit Valley of Flowers in second week of August-2014. Will the bridge that got collapsed last year in floods be ready by August? I have heard that it is still under construction.. Please read this page. 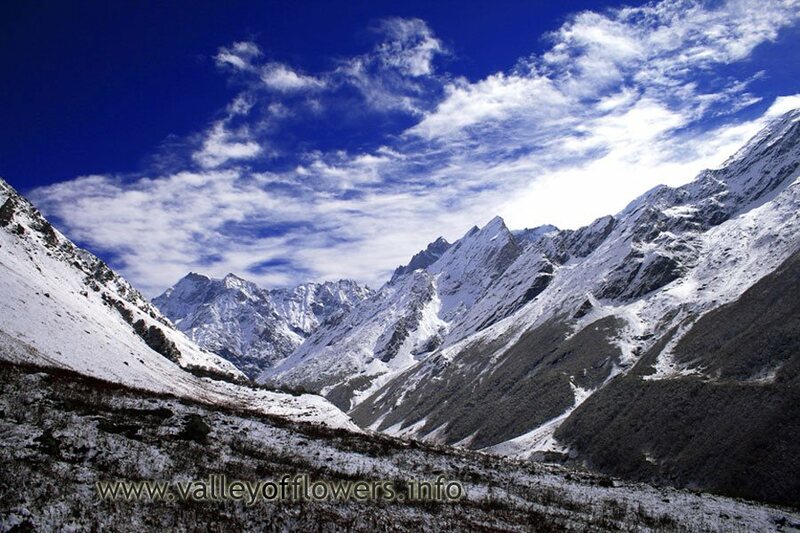 Will Valley of Flowers open in 2014? When does Valley of Flowers open ? sir,i want to go Valley of Flowers in mid july…can you help me in making a tour package with total of three persons. Sir,I wish to visit the Valley and Hemkund in mid-June(the only time I could travel). But I am not aware about the condition of trek and also the accommodation.So if you please tell me about it. Valley of Flowers may not open by this mid June. I am very happy to see you spreading knowledge for those who love nature. I still remember your coffee bottle during study time. I would like to go for this trek in July…from Bangalore..could you guide me as to how I can make it to this trek? We have lot of fixed departures this season. We have departures every Sunday from Haridwar from July to September. I have sent you detailed itinerary and other details on you mail ID. If possible contact me on my phone numbers given in the mail. I will accompany the groups personally. we are couple. My wife is very much intrested to visit the place. She is been asking for me from long time. So, I decided to take her to this time, if everything goes well we are planning to visit in August. My priority question is, is it safe for couple to travel as I don’t want to take any chance with my wife’s safety, this was my main reason to delay the tour. As I now come across your website, I feel it will be fine to take her to her dream place. Please let me know is it safe. Thanks in advance. I think you care you wife a lot. Me and my wife has been going to this place for many years and still ok. Even senior citizens can so this place. Actually there are many factors responsible for deciding about the safety on your trip to Valley of Flowers, for eg different type of diseases combined with age factor. You can talk to me personally on +91 9991142759. Valley of Flowers is totally intact, you can visit Valley of Flowers in coming season. Just check my blog post on how is Valley of Flowers after floods in Uttrakhand. Hope you will find it informative. Hello Devkant, First of all, Thanks to make this wonderful website full of valuable information, pictures and your vision towards safeguarding the nature with various cautious and alarming inputs. I, Purushottam Oke, am from Pune and a big nature lover. This is one of the places along with Ladakh that is still on top of my must visit places list. I am sure I do find space this year to fulfill my dream to visit the valley atleast once in my lifetime. Considering all the articles published about Valley of Flowers and feedback seen about the best visit time, I hope this comes amongst the best period to visit the Valley of Flowers. Beautiful…I have been to Badrinath but missed the opportunity of visiting the Valley of Flowers. It is truly a heaven on Earth. Now, it tops my wish list. Thank you for such a lovely coverage. Thank you so much for the information. As we are planning to make d trip by own, I need some more information from you. Will we be able to catch a bus from Govindghat to Badrinath if we start from Ghangaria on same day on early morning. Actually I want to know the time of last bus depart from Govindghat to Badrinath. If we want to hire a car for Badrinath from Govindghat will be the cost for that. 1. Public transport is not available from Govindghat to Badrinath. 2. You can take a cab from Govindghat to Badrinath. It will be charging you around Rs. 2500. Char Dham is generally not recommended along with Valley of Flowers. Best season for Valley of Flowers is monsoon season and monsoon is not a good season for char Dham. Am overwhelmed after reading the articles in your site and love your passion towards nature. I have gone through the 7 day tour plan mentioned and would like to know full itinerary and prices. Thank you so much a detailed mail has been sent to you. Also please drop in your contact details for further bookings with you. Thanks AMARESH MURTHIRAJU Ji, Detailed itinerary has been sent to you. Please check and revert. I wanted to do a short trip in India from Oman. The Valley of Flowers seemed like an interesting take on India besides the typical tourist things. What is the cost? How long will the trek last? Are they fat people that go on this trip? I am 104 KG or 230lbs, but I have gone hiking while here in Oman. What are some things that I will need for a mid-July trek? At this stage I prefer to be contacted via email. Yes fat people can come for trek to Valley of Flowers, you should have good stamina. You can get a pony between Govindghat and Ghangaira and between Ghangaria and Hemkund Sahib. This will make your trip easier. Stay at Haridwar is included in our tour package. We generally provide tempo traveler as your transport vehicle for the whole trip. We provide accommodation at Ghangaria in Hotels not in camps. I am staying in New Delhi. I am 53 years old with moderate fitness. I have never done a trek till date. I have mild Asthma which is under control and triggers only for few days at the onset of Summer or Winter.I do not have any other clinical illness like High or low BP, Diabetes etc. Kindly let me know the cost of the tour package. Kindly talk to your doctor before coming for the trip, detailed itinerary and cost has been mailed to you. Thanks for contacting us. I am of 60 years and my friends are of 52 and 54 please tell me how and when we should plan for this trip because this is right time for me to plan for trip of Hemkund Sahib and Valley of Flowers. You can come with your group. 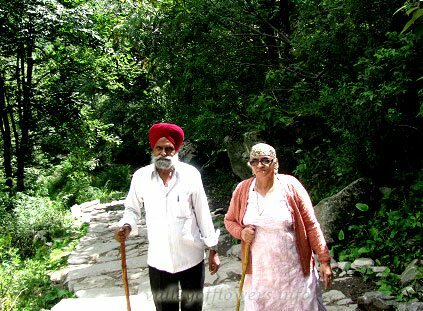 Senior citizens can visit Valley of Flowers. Please check our post on Can Senior Citizens visit Valley of Flowers?. You need not trek on all the days of the trip. You can use ponies etc on the days you are not going to Valley of Flowers. Planning to visit Valley of Flowers in a group of 4 adults 2 children ( 5+, 11+ yrs). Please let me know the package and necessary information. As we have child with us, we want to minimize the trek. Sincere thanks for creating such an informative website. Thanks for appreciation. This is my passion. I live for this. Yes, You can bring your children. Please go through Minimum age to visit Valley of Flowers page on this site. A detailed itinerary has been sent to you. I will personally call you tomorrow to discuss about the package. While searching Valley of Flowers I found your page & I must admit till date regarding Valley of Flowers I haven’t seen such detailed information anywhere else. Congratulations for such a wonderful site. Now, I want to know what are the best dates to visit the valley from July last week to August first week or else what dates you recommend to visit within these two months. Is it also possible to join you from Govindghat & have a customized trip along with you, because I want to visit The Valley 3 consecutive days & like to stay a night in Hemkund Shahib. 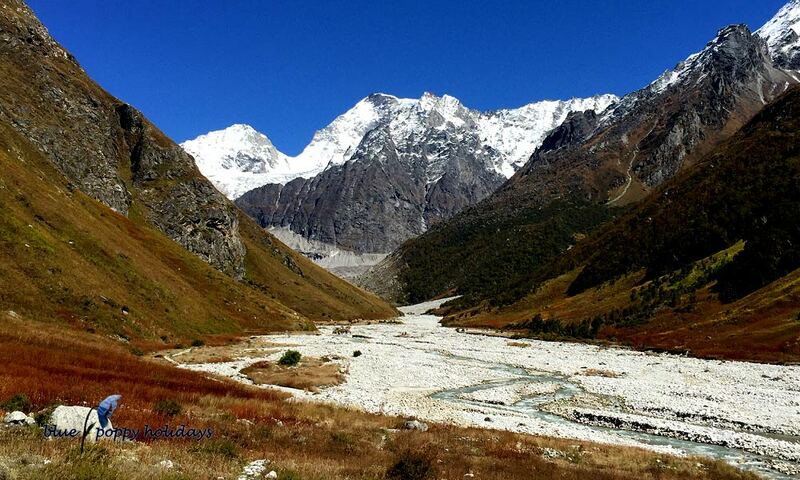 Going with my itinerary, I have also included Auli & Badrinath where there is a beautiful waterfall to see. Please share me the costs & other necessary information. It will be kind & helpful enough if you personally give me your valuable suggestion as I am considering you in high esteem more of a Co Explorer Friend who simply love & respect Mother Nature,Looking forward Friend for your reply, Stay happy & healthy, God bless you. Thanks dear for your compliments. Overnight stay is not possible as there is no hotel at Hemkund Sahib. Generally no tourist stay at Hemkund Sahib. Still we may camp somewhere near to Hemkund Sahib. But I have never done it. You will see lot of waterfalls even in the Valley of Flowers. If possible call me or send me your phone number. i want to go Valley of Flowers , kindly give me details regarding precautions needs to taken. i would like to join you at GANGARIA , kindly give me your detailed tour plan regarding costing , hotel facility , temperature during APRIL to Sept .
if my friends are coming in a bunch or group , what concession are you giving. Valley of Flowers is not open in April, I will call you to discuss everything. Please do visit our page on Can senior citizens visit the Valley of Flowers page and Valley of Flowers trek information page page. These pages have detailed information how you can skip trekking. All the best ! I went through the blog to know the information about the trekking but I am still not sure if I have chosen the best time to visit the flower valley can you please get back to me if July 26th batch is the right time?? (I want to see the valley when the flowers are seen)and the cost of trekking so that I can plan up accordingly. July and August are the best time to visit Valley of Flowers. June you will find lot of glaciers and by September flowers get converted into seeds ad berries. You can visit Best time to visit Valley of Flowers page for more detailed information. Hi, I want to go for this trip.But I have no partner. Do you provide this trip to single person. I am from Guwahati,Assam.I will reach Delhi Railway station.Can you arrange the trip from Delhi railway station? And lastly what will be the total cost of the trip. Yes we do organize tours for single person as well, you can join in any fixed departure from Haridwar. A detailed mail has been sent to you. I am in Joshimath. Want to trek Valley of Flowers from 16th Aug 2015. We are four males. Please help us. Can you please provide me details for trip to Valley of Flowers(6/7 days) and also the cost of this trip. I will start from Pune.